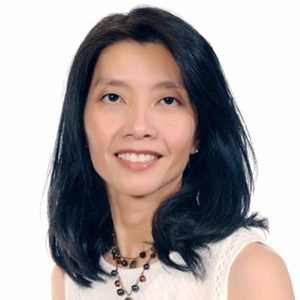 President Donald Trump has selected Holly Luong Ham, a former executive for HP Inc., to serve as assistant secretary for management at the United States Department of Education (ED). An announcement from the Trump administration underscored her experience as a sales executive for the computer company, which was at one time led by Carly Fiorina, a Republican rival of Trump’s for the presidency in 2016. The announcement also mentioned her experience at the Center for Asian Pacific American Women, a nonprofit group that promotes leadership skills for Asian American women. The ED’s office of management oversees operations and administration at the department. Ham does not need Senate confirmation to assume the post, the ED said. On her LinkedIn profile, Ham listed work as a program adviser for data operations in the Trump presidential campaign last year. She also listed roles on the board of directors for Skills for Living, which helps children develop social skills and connections through play groups and other extracurricular activities. Ham received a bachelor’s degree and an MBA from the University of Houston, C.T. Bauer College of Business. She has described herself as an “education specialist” in Washington, D.C. since January.